Most Food Based Vitamin Antioxidant Fruit Vegetable Mineral Complex On The Market! The "Just for Life Complete Multi" provides more in a single formulation than can be found typically in more than a dozen different products. 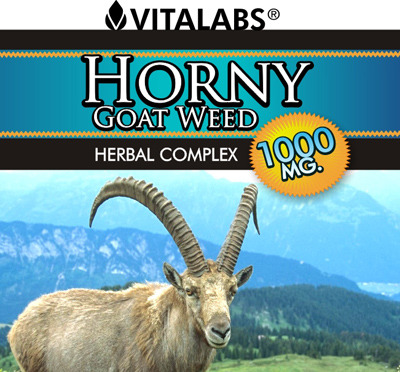 This amazing blend offers a high potency spectrum of all essential vitamins and minerals along with an abundance of other important nutrients including a vegetable and fruit complex, spirulina, green tea extract, grape seed, pine bark extract, CoQ10, quercetin, digestive enzymes and a multitude of herbs. A well balanced diet includes foods that contain essential vitamins. Many Americans do not eat a well-balanced diet. And with todays fast foods, you can be robbed of the vitamins you think you are getting from the foods you eat. Taking Just For Life vitamin supplements can safeguard that your body is getting the nutrients it needs to stay healthy. 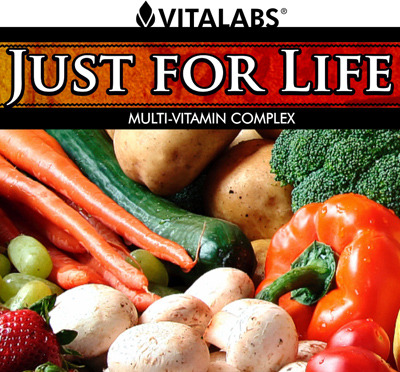 Just For LIfe, by Vita Labs Inc innovative supplements take into account the unique nutritional needs of individuals living in a modern society. 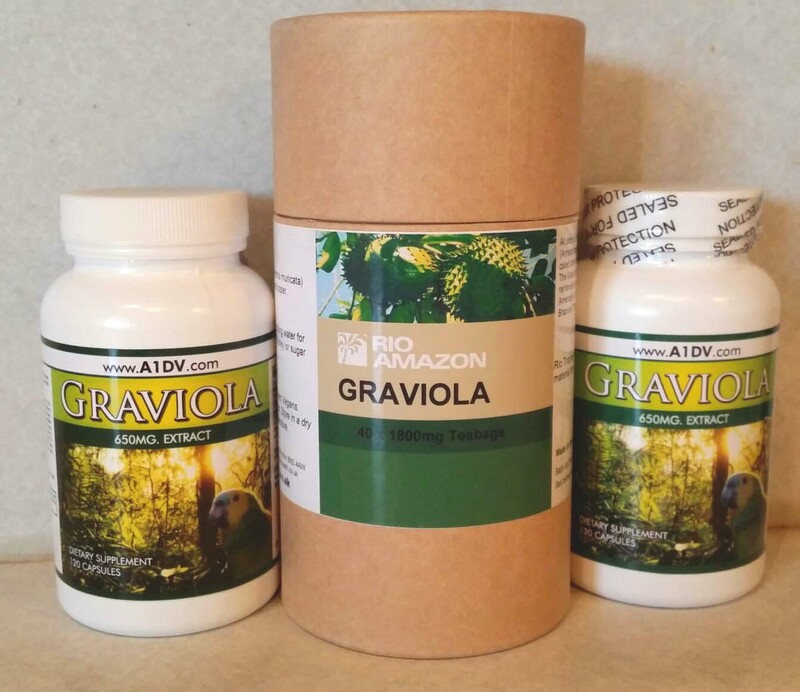 All Just For Life, multi-vitamins and minerals contain extensively researched ingredients providing optimal amounts of vitamins and minerals, in absorbable forms as well as ingredients to enhance the body?s natural detoxification abilities. A high quality multi-vitamin and mineral formula with certain detoxifying ingredients provides the foundation of a smart supplementation program. With the multiple toxins that permeate our air, food and water today (e.g. pollution, preservatives, pesticides, heavy metals, environmental estrogens), it is vital to support the bodys ability to counteract such daily exposure. Although its importance is often overlooked, detoxification is an essential component of optimum health. Additionally, Vita Labs,products are manufactured exclusively in FDA-registered laboratories and meet or exceed all industry standards for Good Manufacturing Practices (GMP) and Quality Control Procedures. We guarantee the highest quality and absolute purity in our products. Most nutrition experts agree that the best source of vitamins and minerals is a healthy diet of fresh, whole foods. Few of us eat a perfect diet, however,and supplements can provide us with nutrients that may be missing from the foods we eat. Supplements cannot make up for a poor diet, though. You still have to limit your intake of fast foods, fatty junk foods, and sugary sweets. And you still have to eat plenty of fruits, vegetables, grains, poultry, and fish. But a healthy diet plus a supplement is the second best way to get all the nutrients you need. To get the most from your multivitamin, it should be taken with a meal. Food helps the body absorb vitamins and minerals more efficiently, and the fat-soluble vitamins A, D, E, and K require some dietary fat to be properly absorbed. Not all multivitamins are the same. In order to choose the right one for you, you have to know what vitamins and minerals you need and you have to know how to find them. The label of a multivitamin lists every nutrient present in each tablet. The majority of labels list the %DV (Daily Value, or how much of a day’s worth) or the USRDA (US Recommended Daily Allowance) for each nutrient. Watch out for the supplement labels that only list the nutrient amounts by weight - that’s not very usefeul unless you know the DV of every nutrient. For example, 1000IU of Vitamin A may sound like alot, but it’s only 20% of how much you need every day. 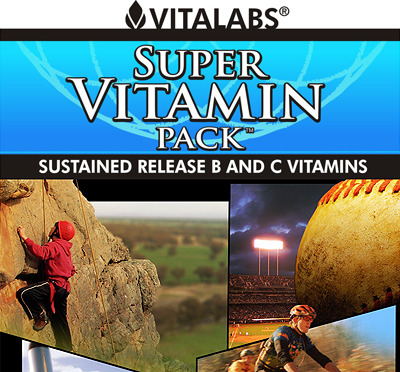 At a minimum, the multivitamin you choose should have 100% of the DV for vitamins A, B-1 (thiamine), B-2 (riboflavin), B-6, B-12, C, D, E, folic acid, and niacin, and for the minerals copper, chromium, and zinc. Most supplements also contain iron. The DV for iron is 18 mg; however, most supplements do not contain that much. In most cases, men only need between 1 and 10 mg while premenopausal women can take up to 18 mg. To avoid overload, higher doses should only be taken by people who are iron-deficient. Both men and women should get 1000 mg of calcium each day. That amount of calcium is too large to fit in a single multivitamin, so you can get your DV of calcium by taking separate calcium supplements and by eating dairy products such as low-fat milk and yogurt, which contain about 300 mg of calcium per serving. Having more ingredients does not necessarily make a multivitamin better. For example, biotin, pantothenic acid, iodine, manganese, molybdinum, chloride, and boron are available in more than sufficient quantities in the average diet alone. Also, there is no current evidence to show that coenzyme Q-10, bee pollen, RNA, alfalfa, and cayene, among other ingredients, do anything beneficial in the body. Beware of supplements that contain excess amounts (or megadoses) of some nutrients. Twice the DV of vitamin A may cause birth defects, more than 200 mg of vitamin B-6 can lead to neurological damage, and five times the DV of iron, selenium, or zinc can be toxic. Multivitamins are often marketed specifically to men, women, or seniors, or they may claim to target specific conditions such as stress and PMS. These specialized formulas are not regulated and it is up to the manufacturer to decide which nutrients to put in their supplements. They may not actually contain all the nutrients you need. Some multivitamins labeled as “women’s formulas” don’t have any additional calcium and have only half the amount of folic acid needed to prevent birth defects. Even though multivitamins are considered to be food supplements, and not drugs, it is important that you let your doctor or pharmacist know if you are taking any multivitamin, over-the-counter (OTC) product, or herbal supplement, because they may interact with prescription drugs or affect some medical conditions. For example, multivitamins interfere with the absorption of certain antibiotics, making them less effective in fighting infections. And excess vitamin E may thin the blood too much in people taking blood thinners such as Coumadin or aspirin, preventing the blood from clotting properly when it should.